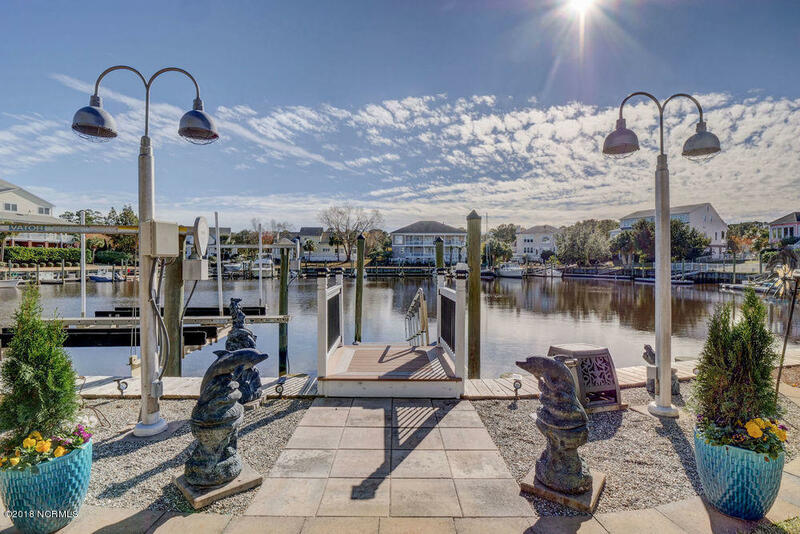 A boater's paradise! 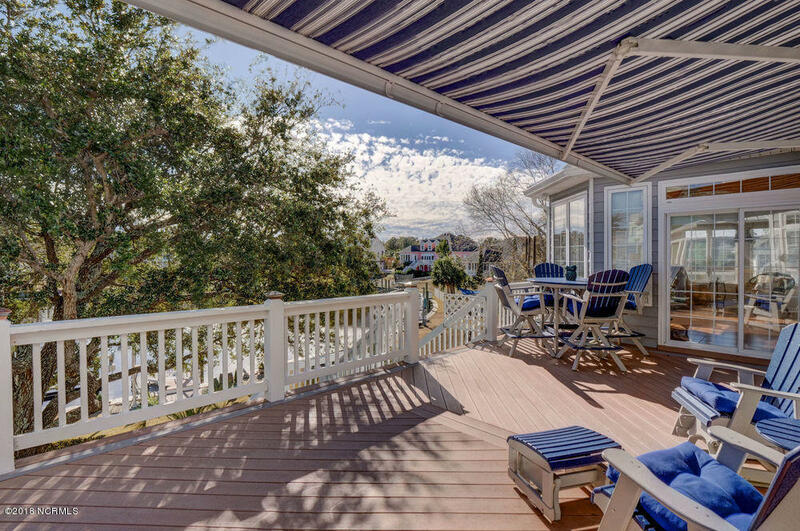 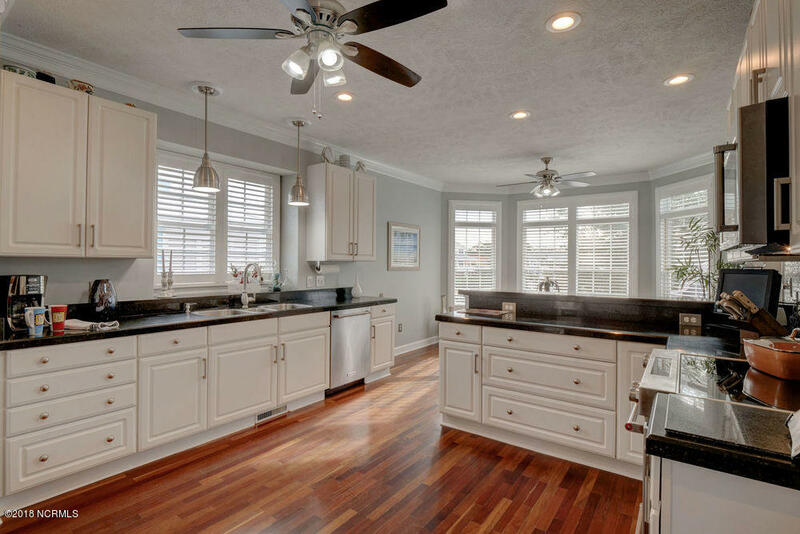 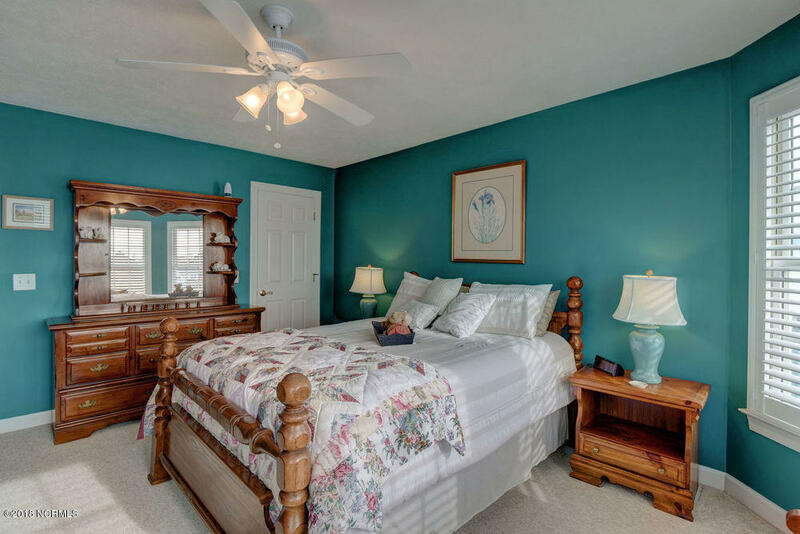 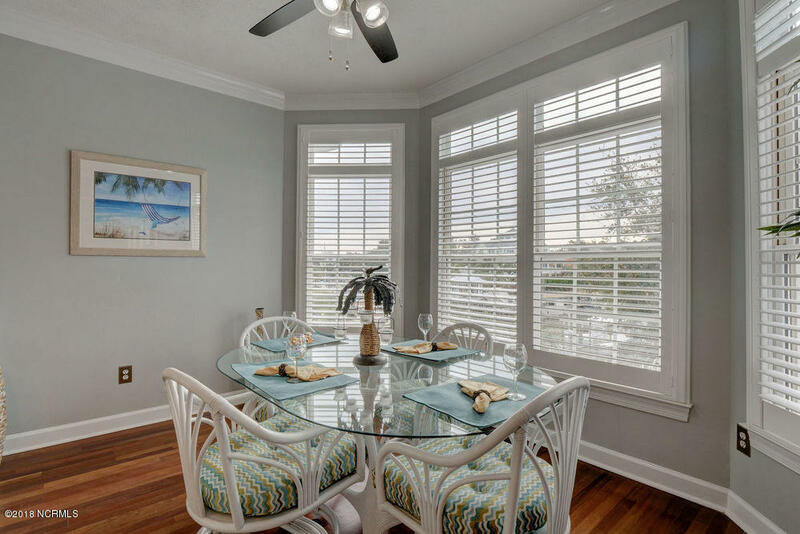 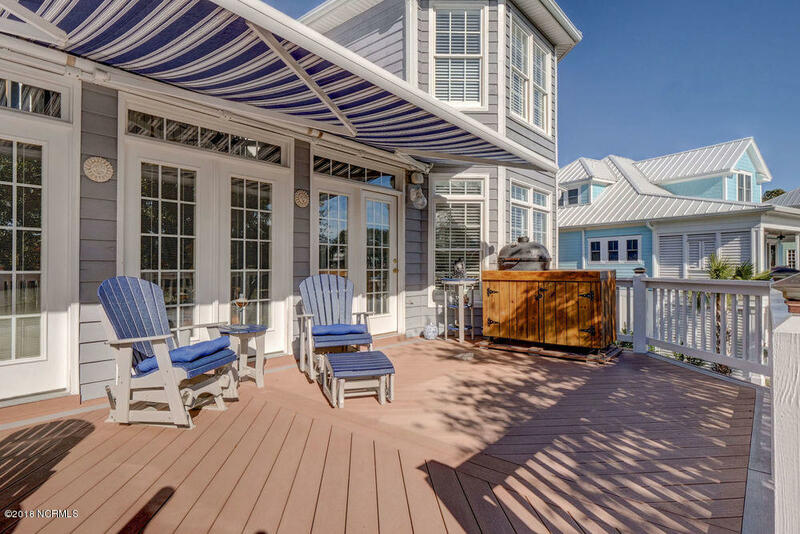 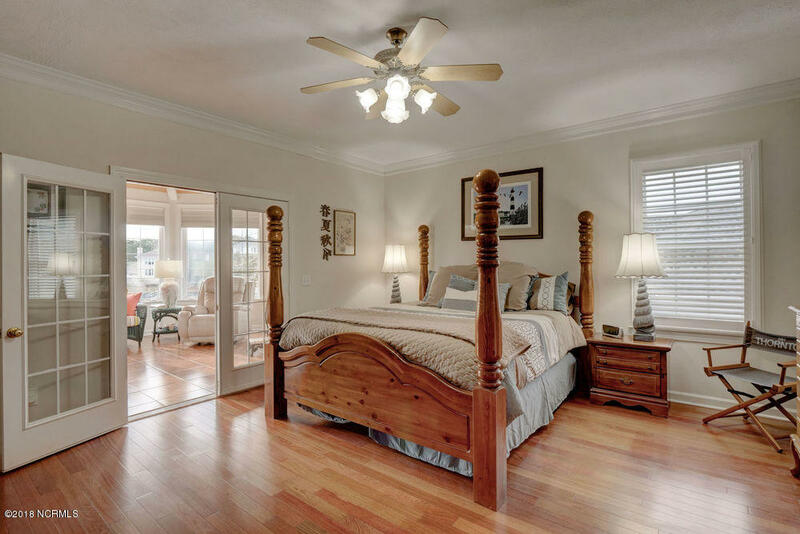 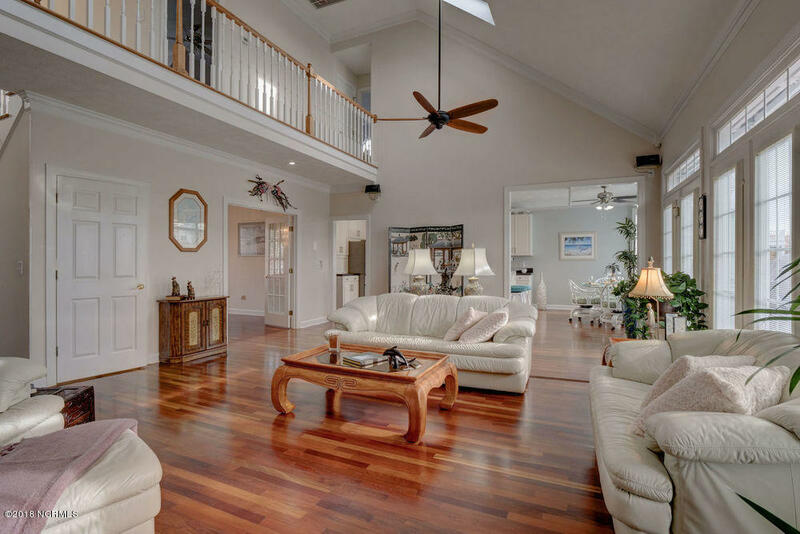 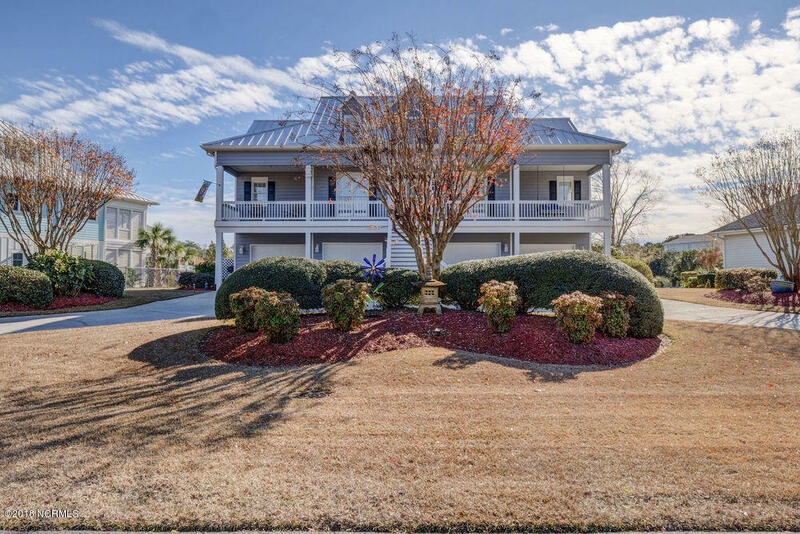 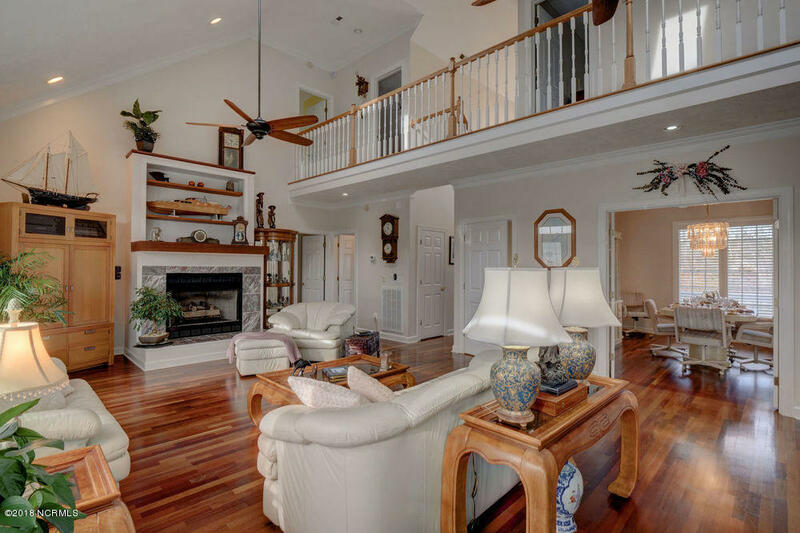 Enjoy the Coastal Lifestyle in this beautiful 5BR/3.5BA home in the gated community of Inlet Point Harbor. 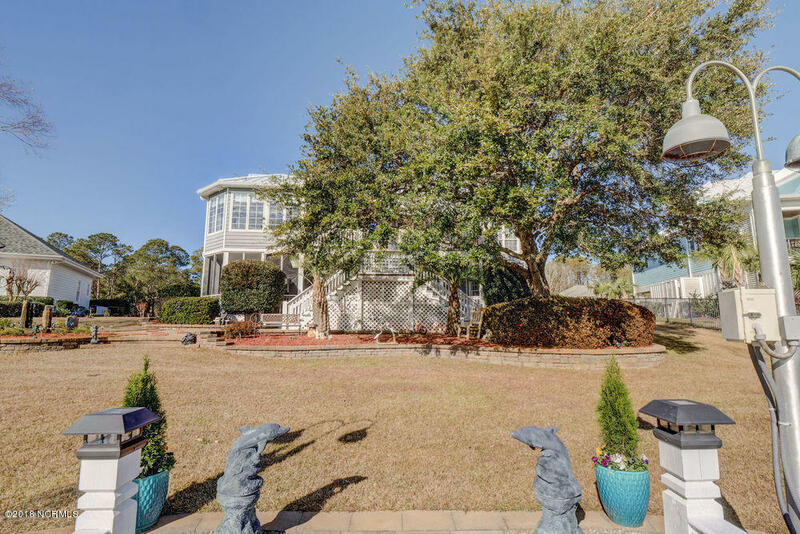 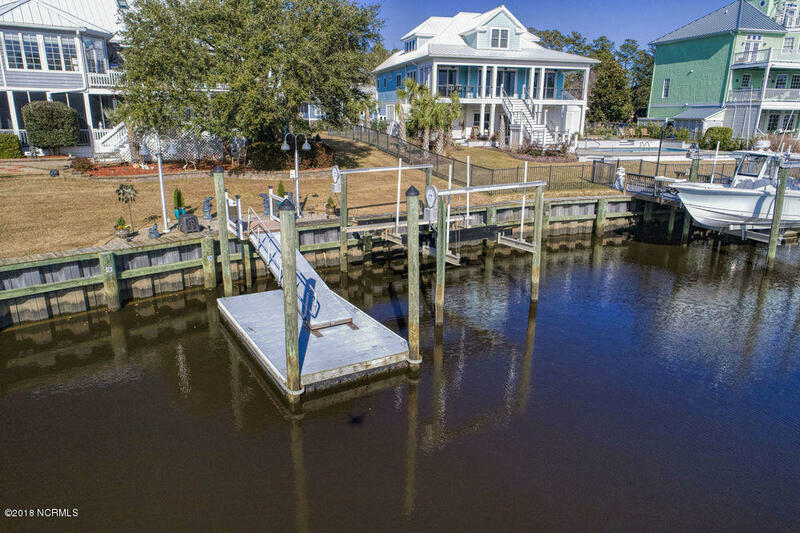 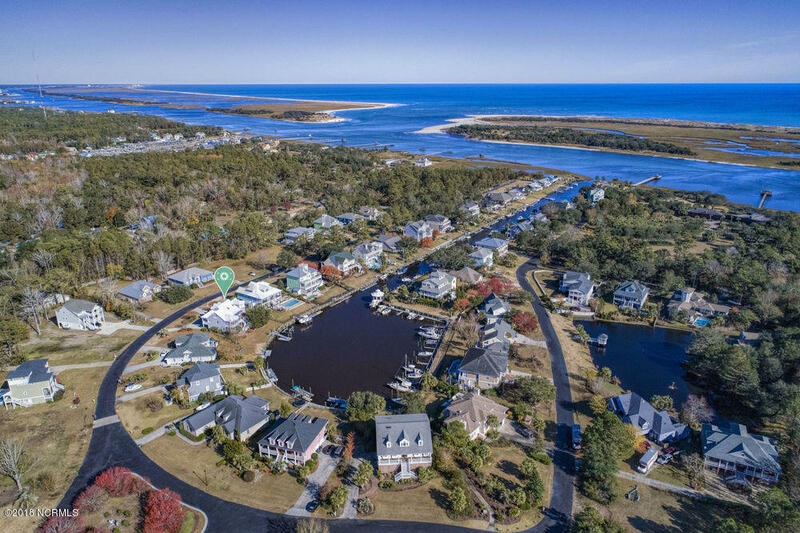 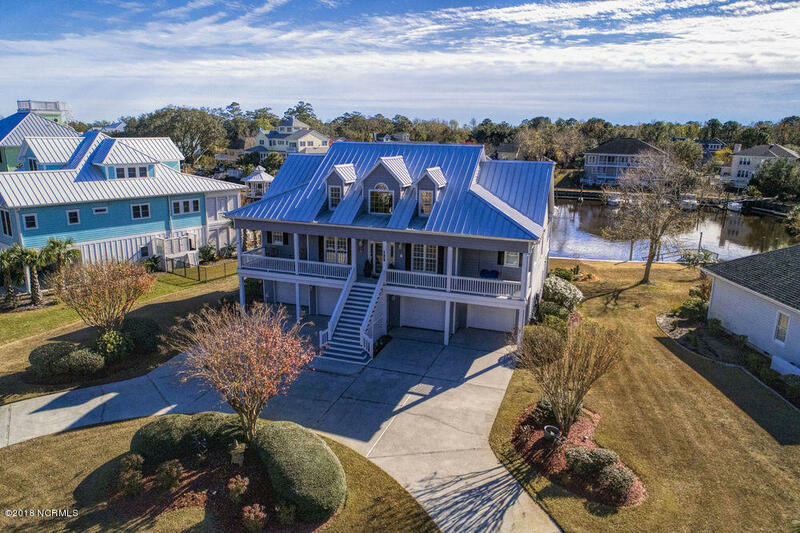 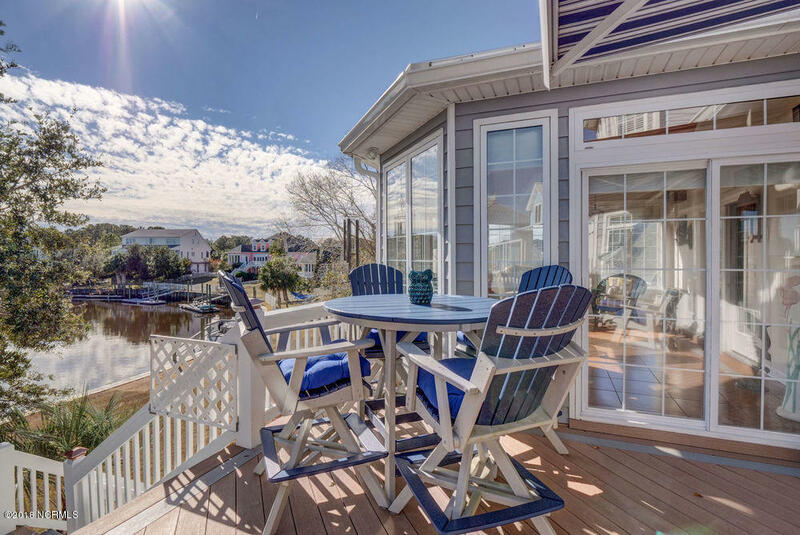 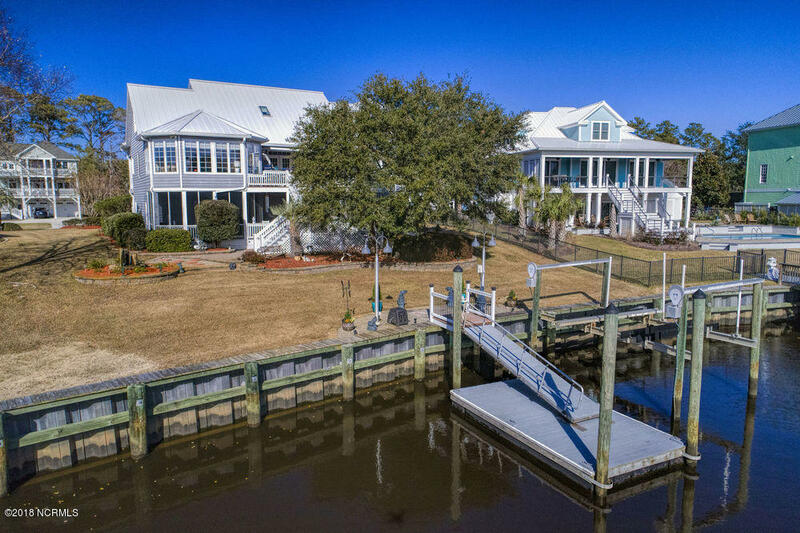 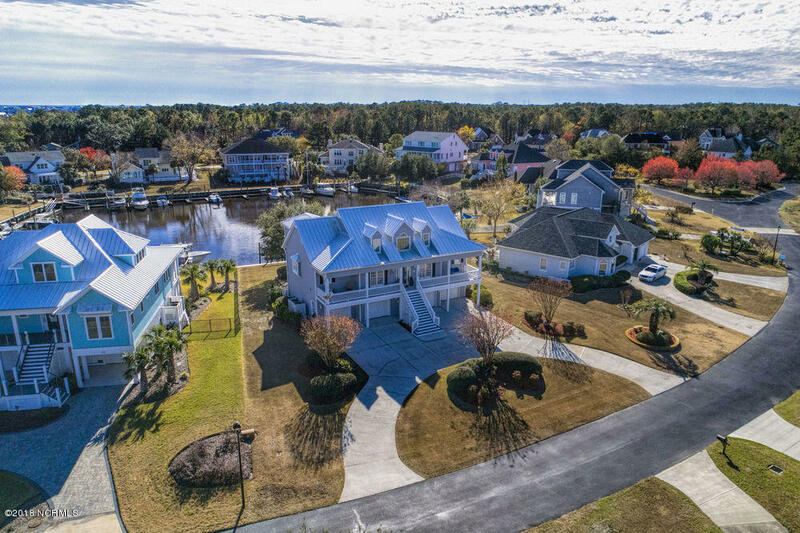 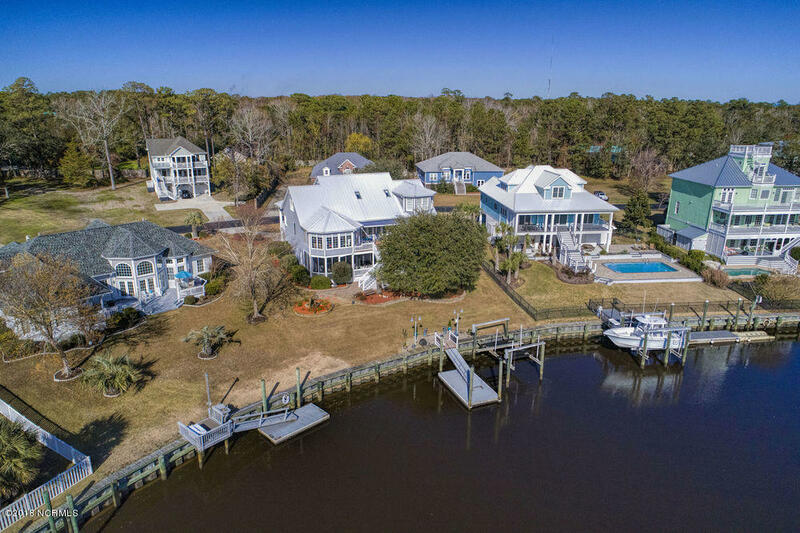 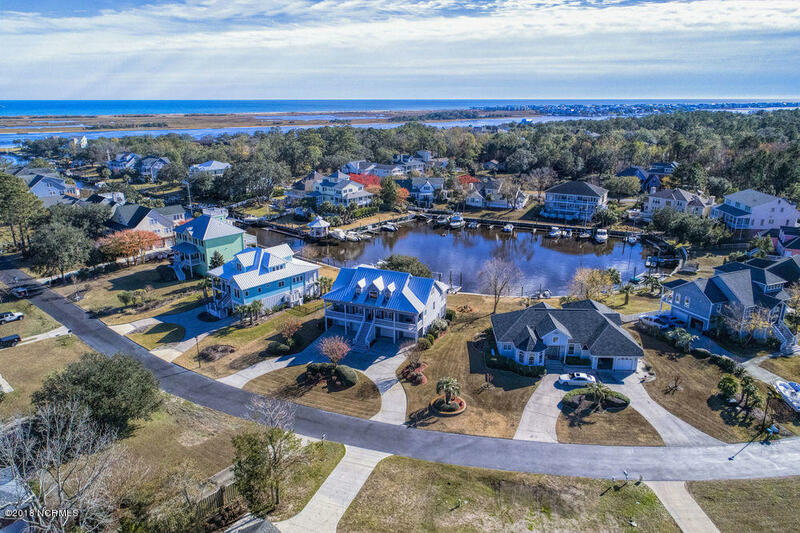 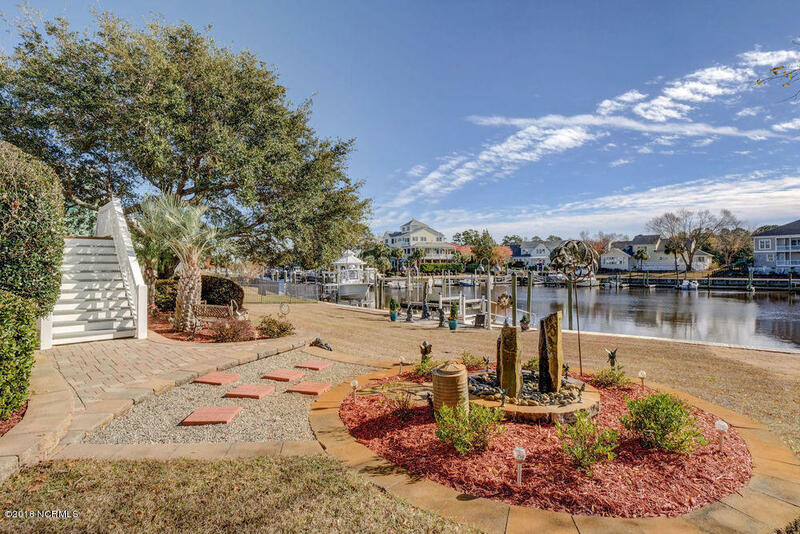 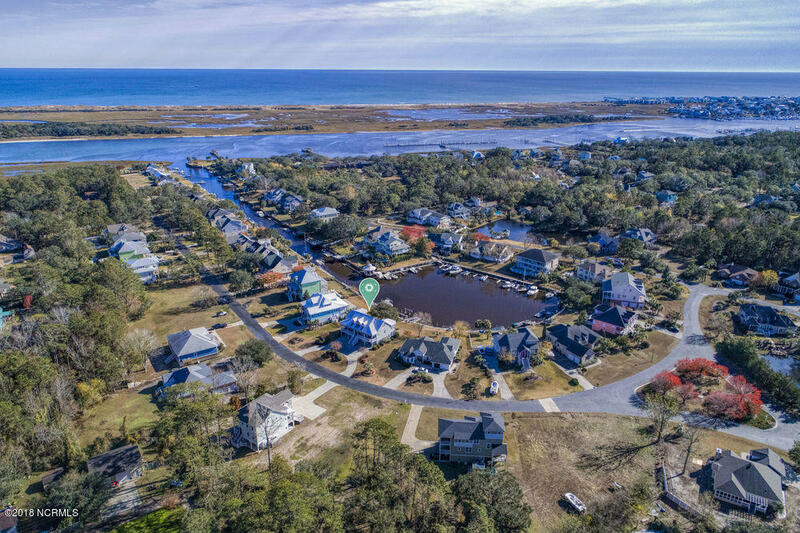 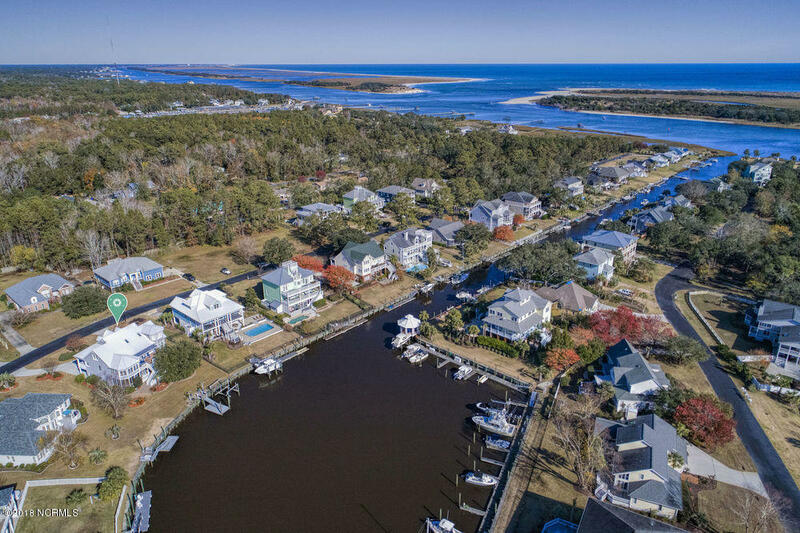 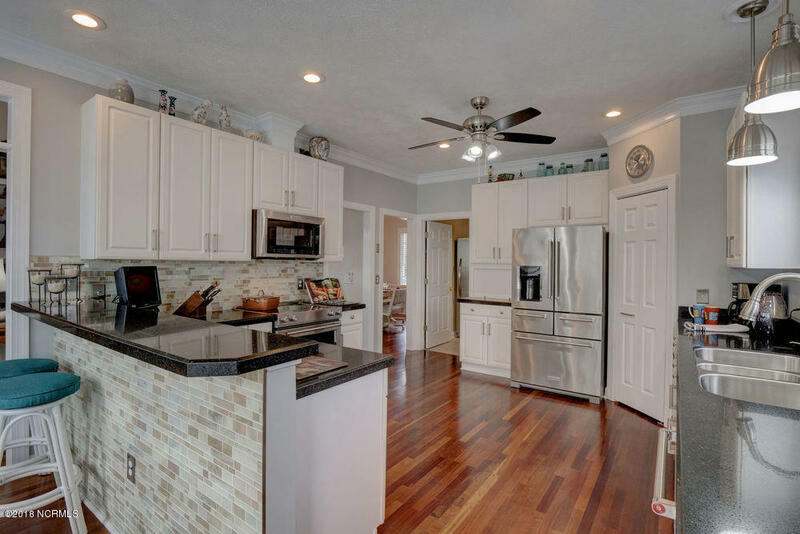 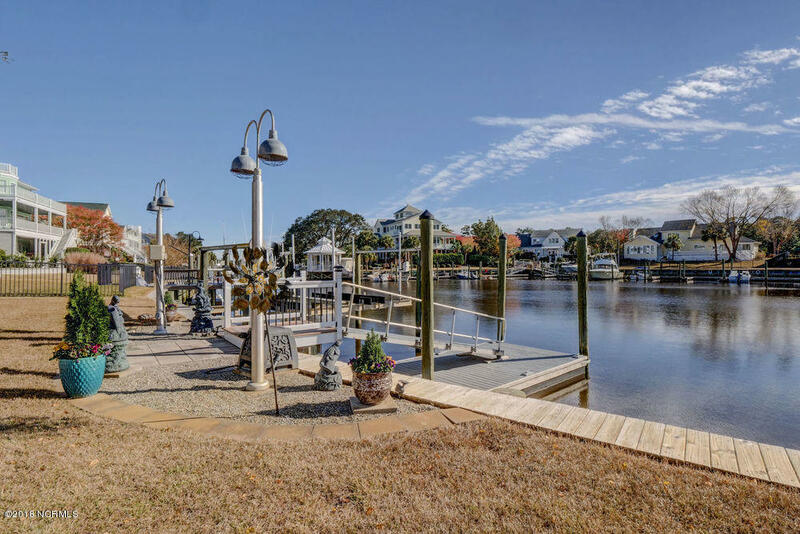 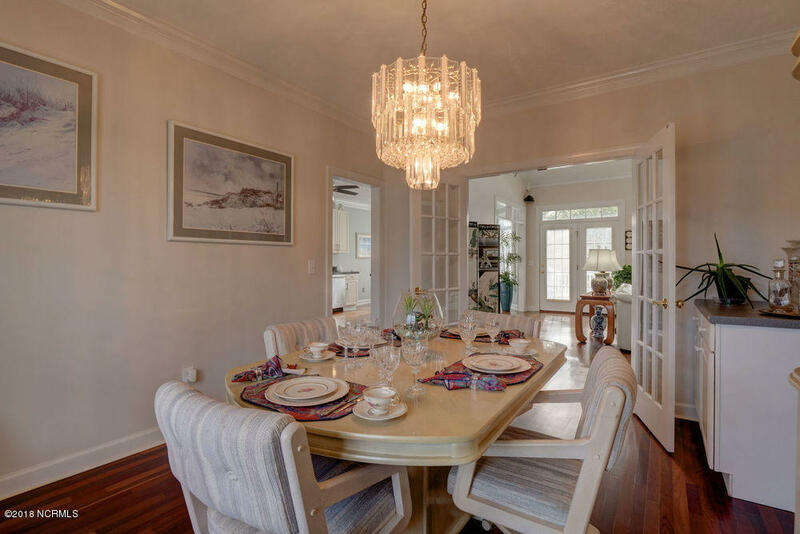 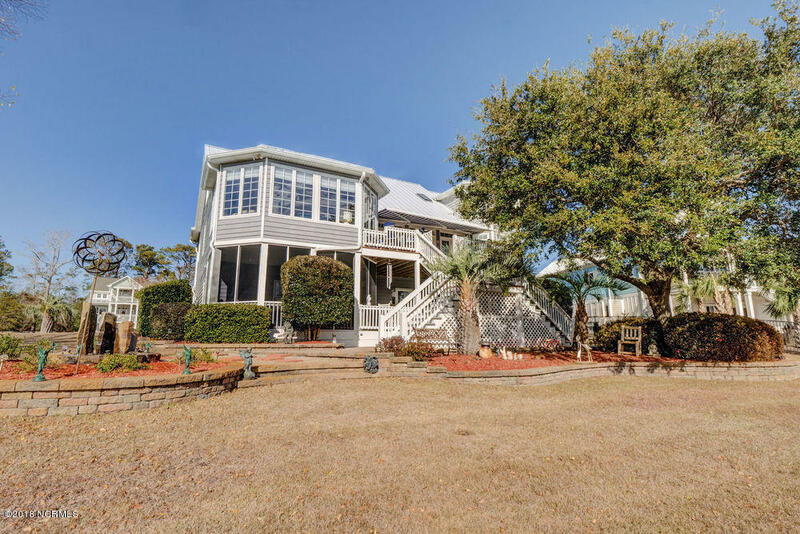 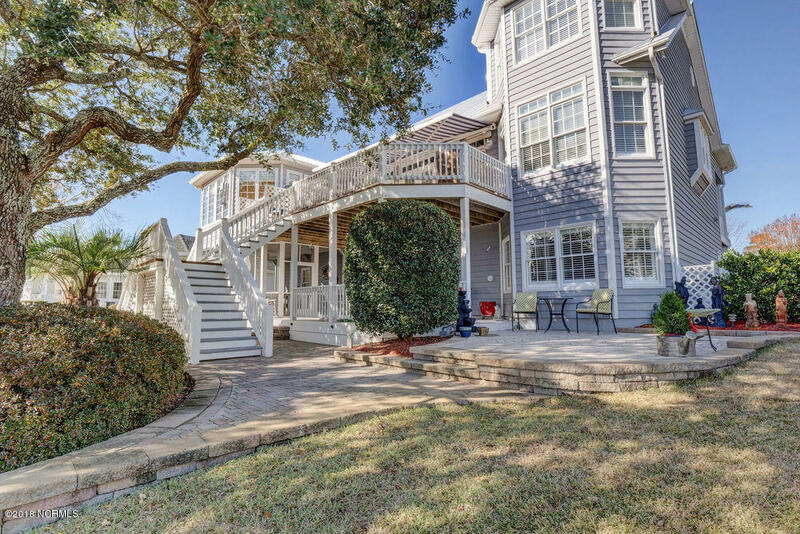 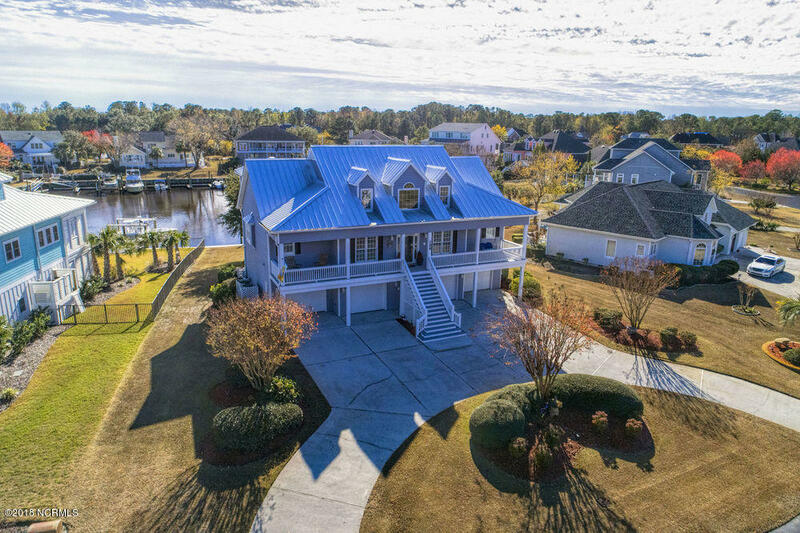 Situated on canal leading to the ICWW, the home includes a 36 ft. deep water boat slip & two 22 ft. slips-each with a lift, right in the backyard! 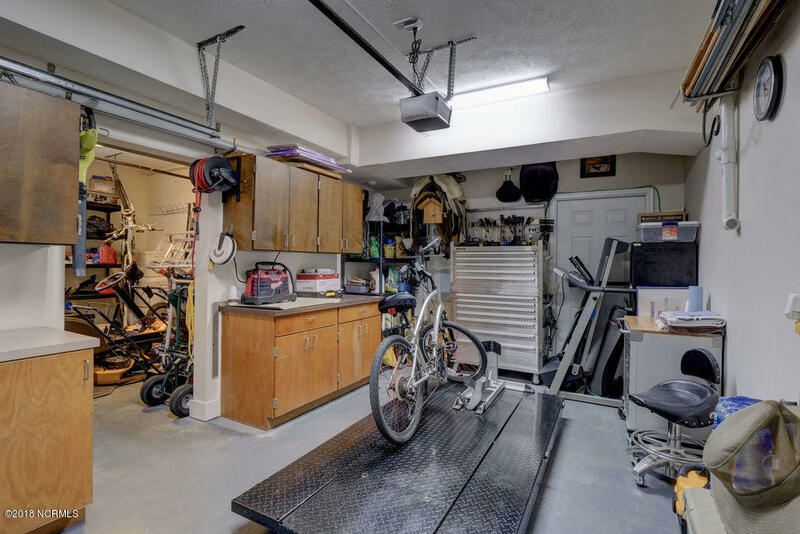 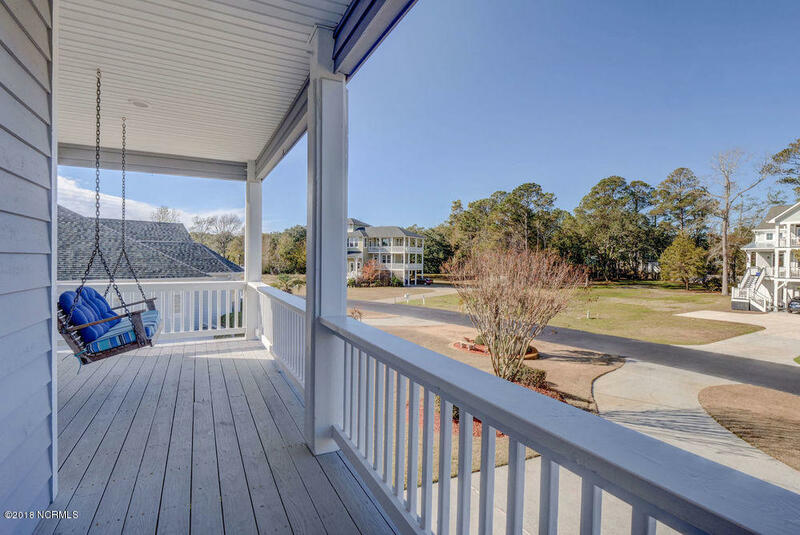 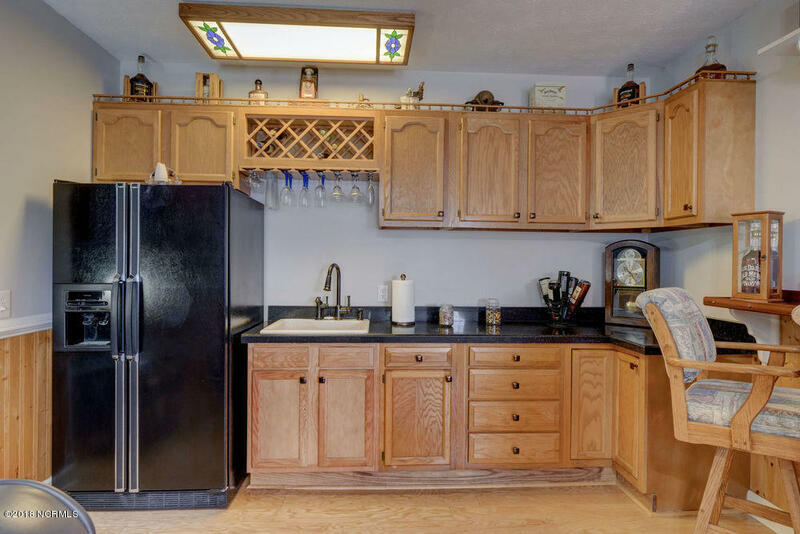 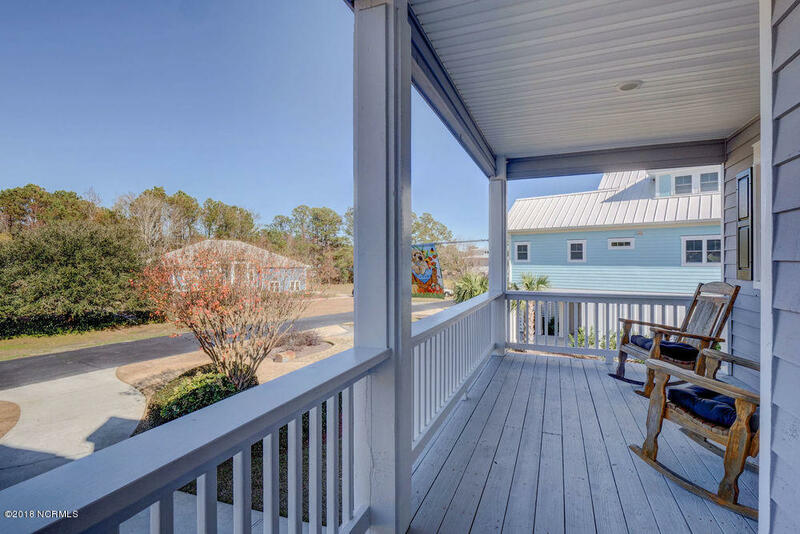 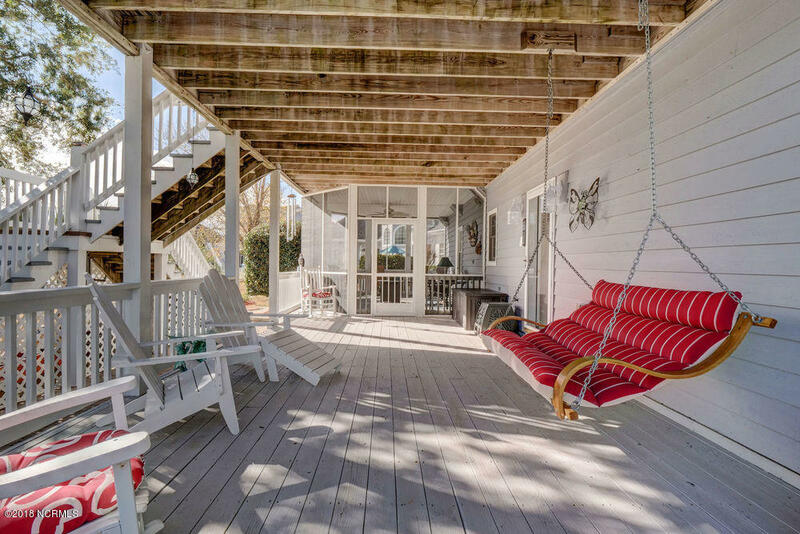 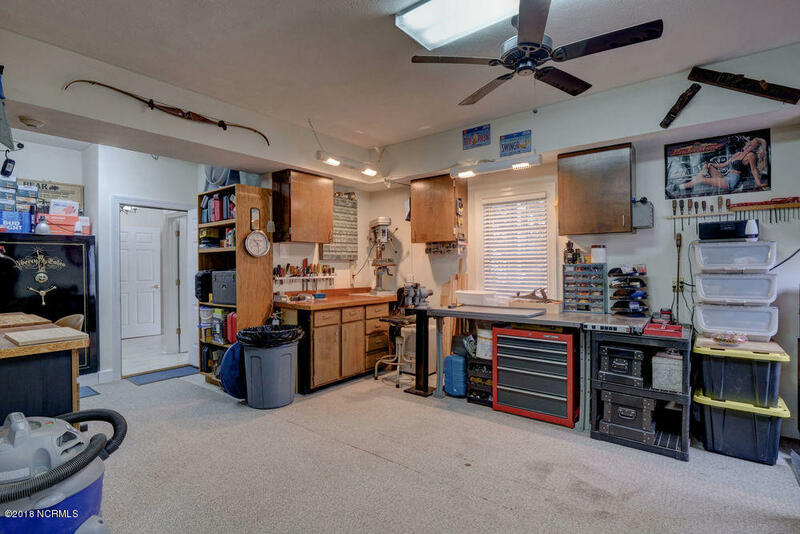 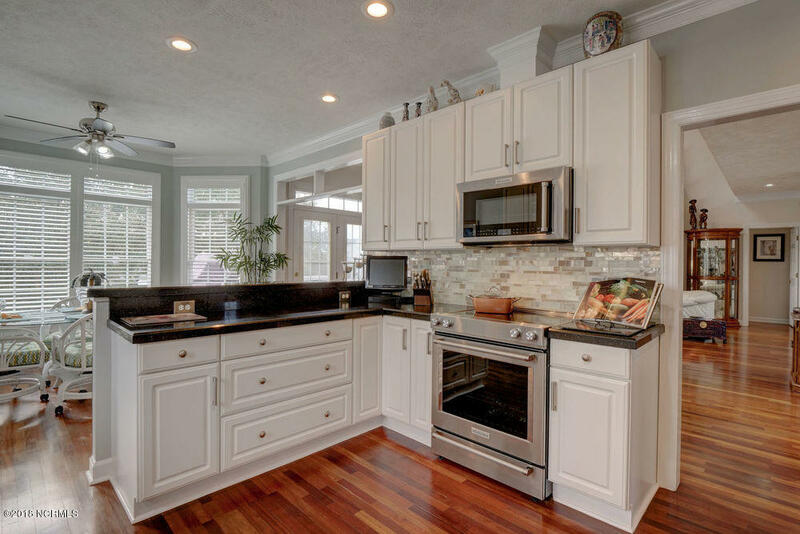 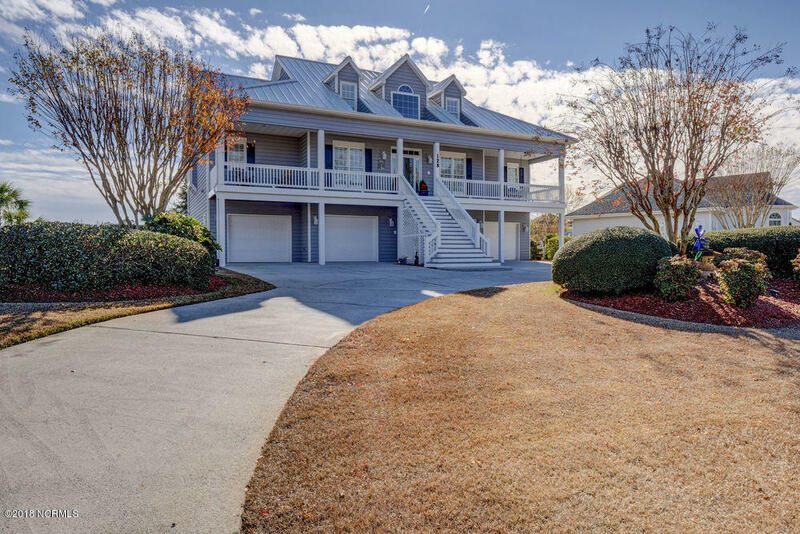 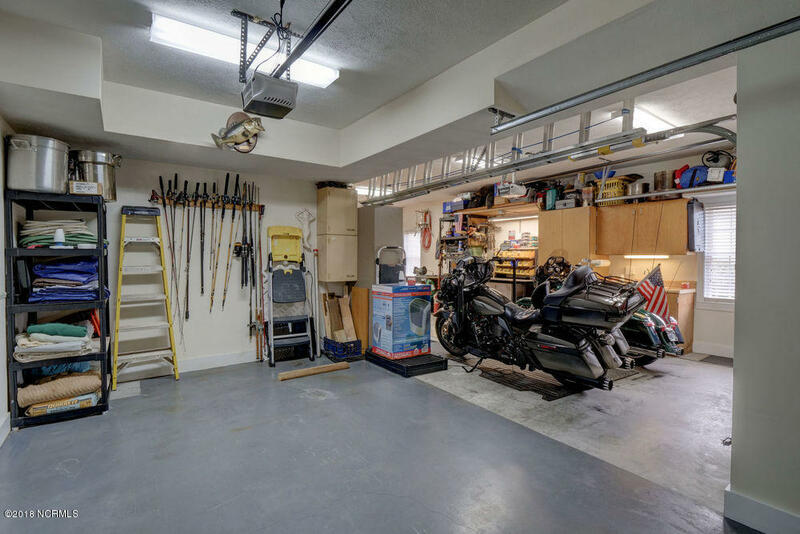 The home features 3 levels of living space plus a front porch, screen porch & 2 rear decks. 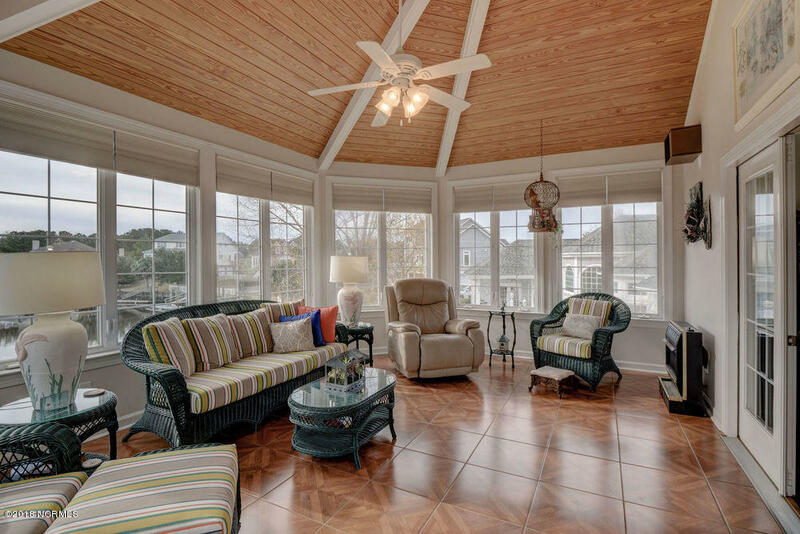 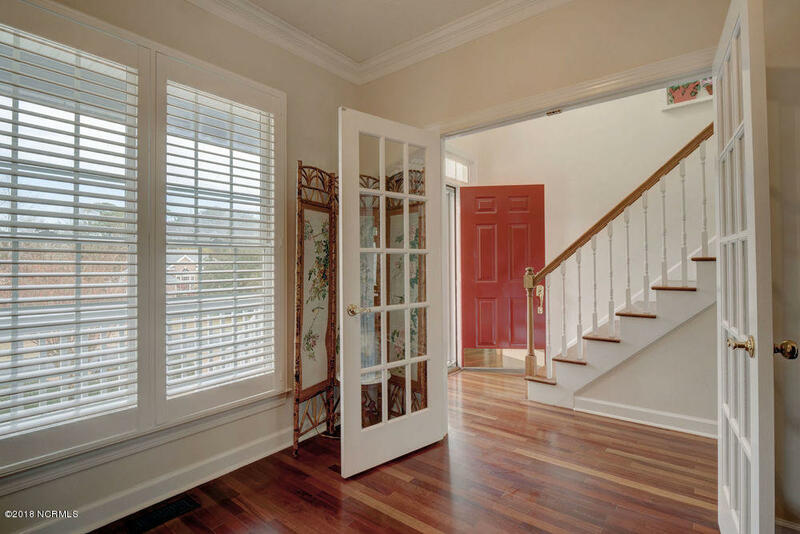 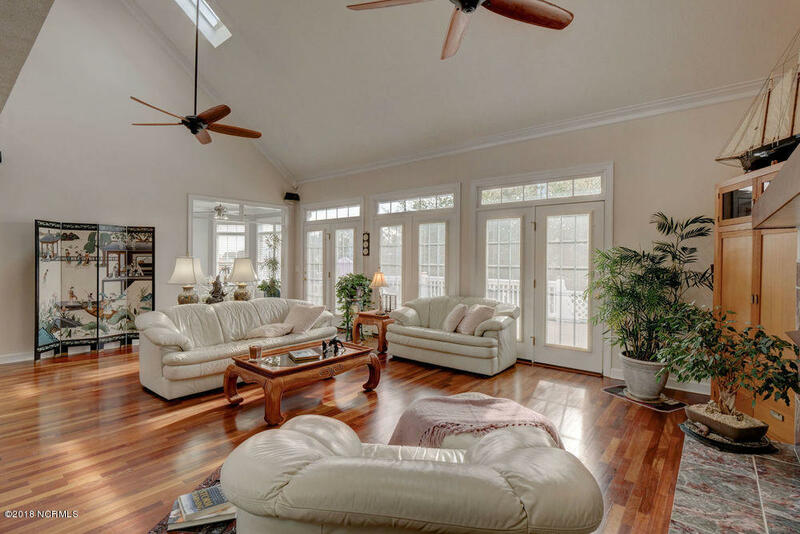 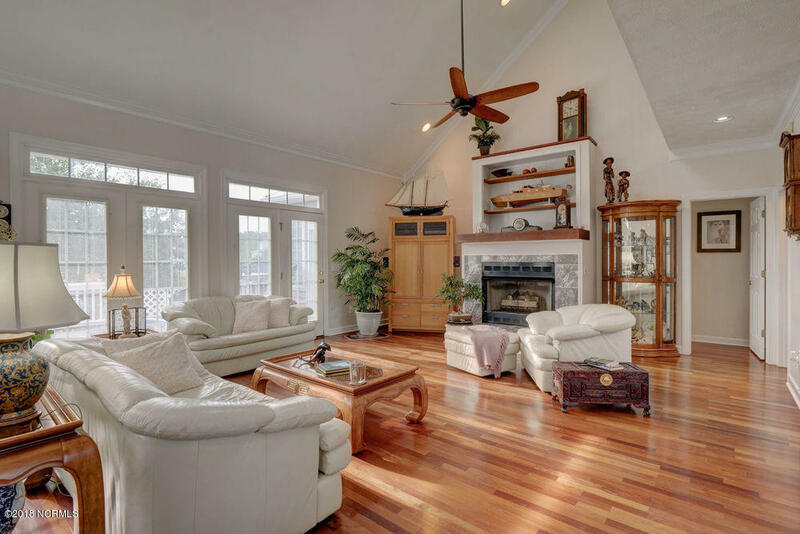 The 2nd level features the main living areas with gorgeous Brazilian Cherry hardwoods. 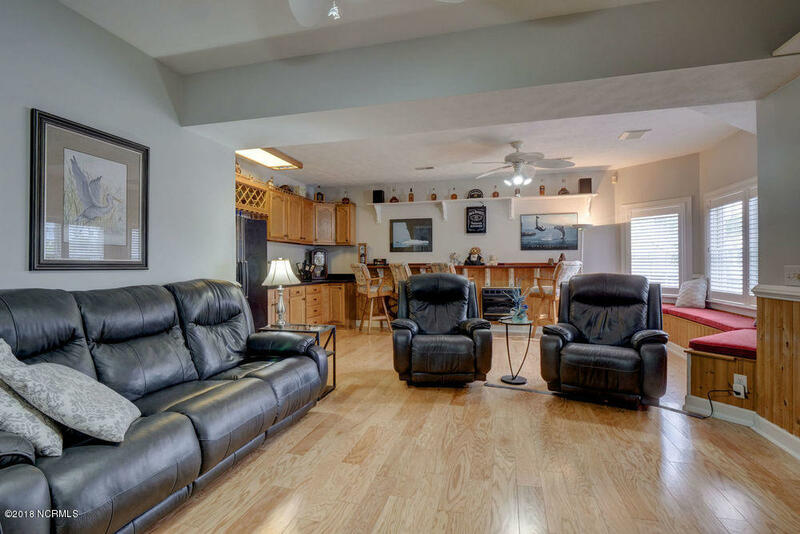 There a spacious living room with a raised hearth fireplace, formal dining room, nice size kitchen with breakfast bar, informal dining area, a study & a laundry room. 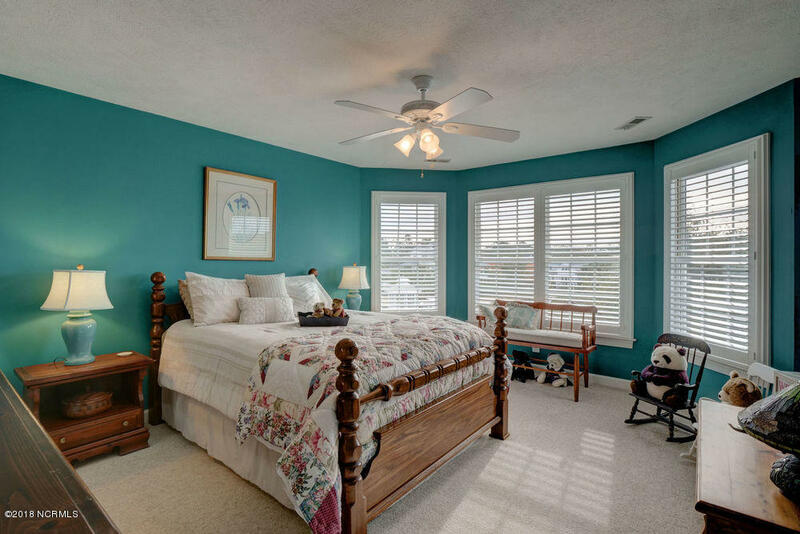 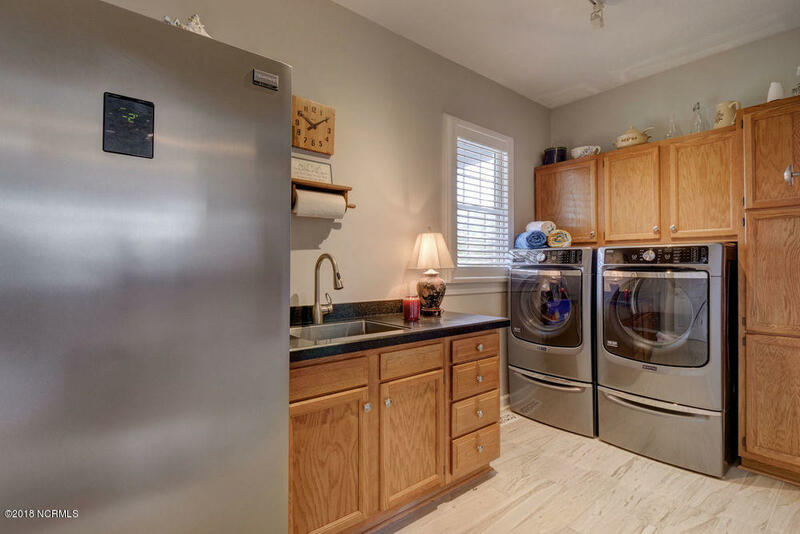 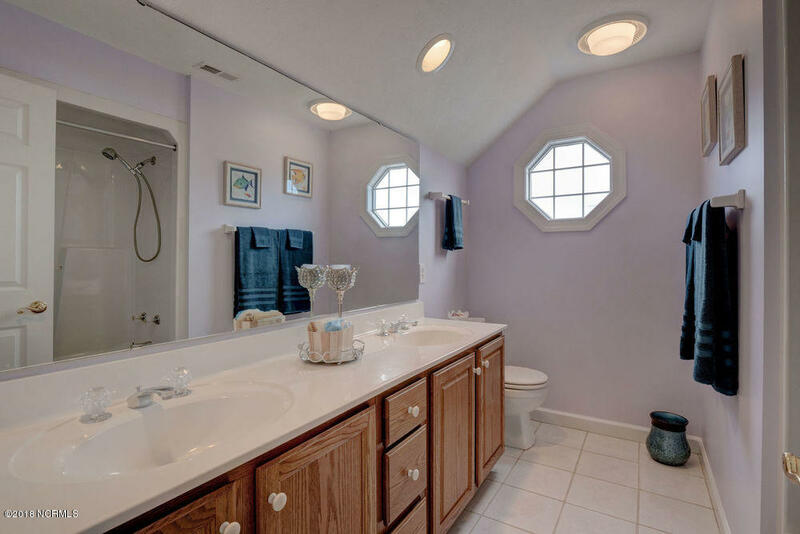 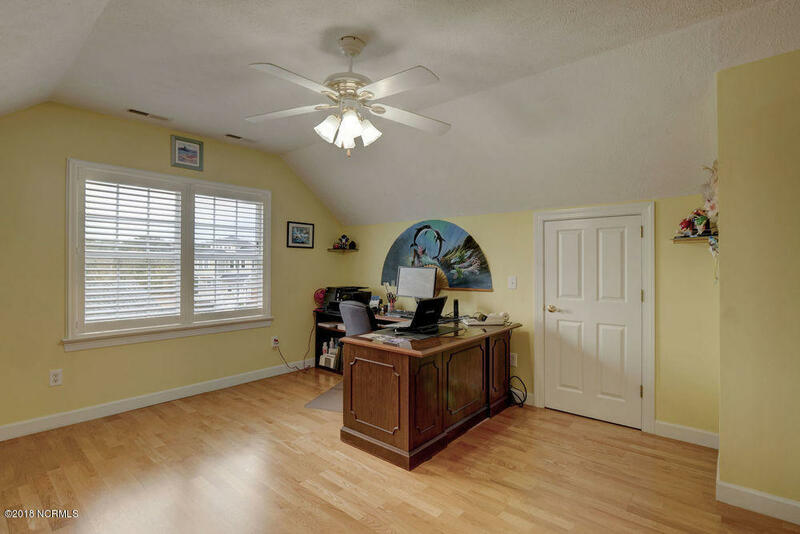 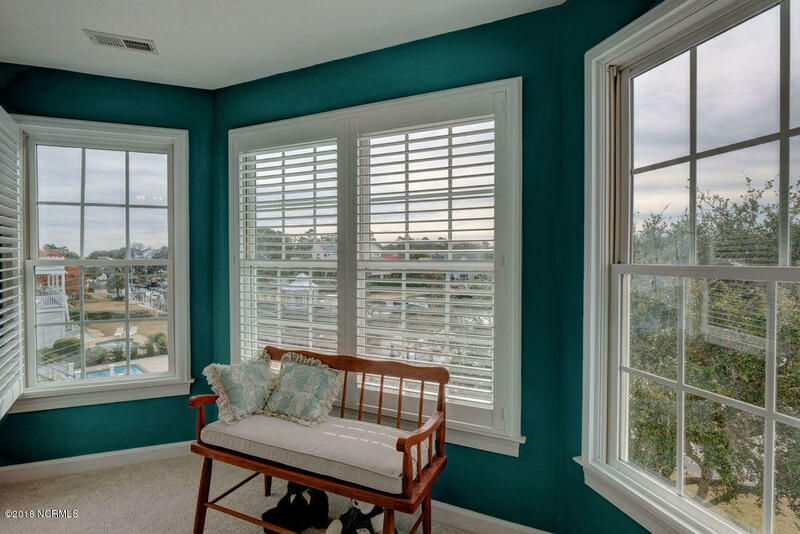 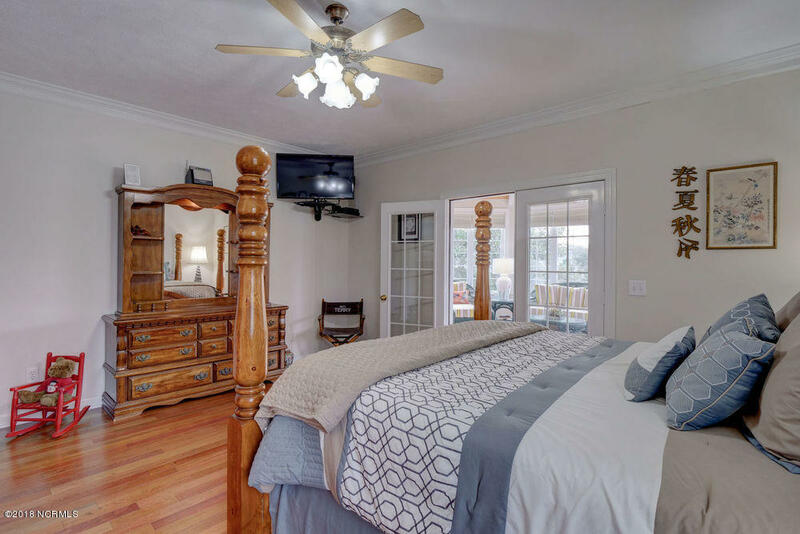 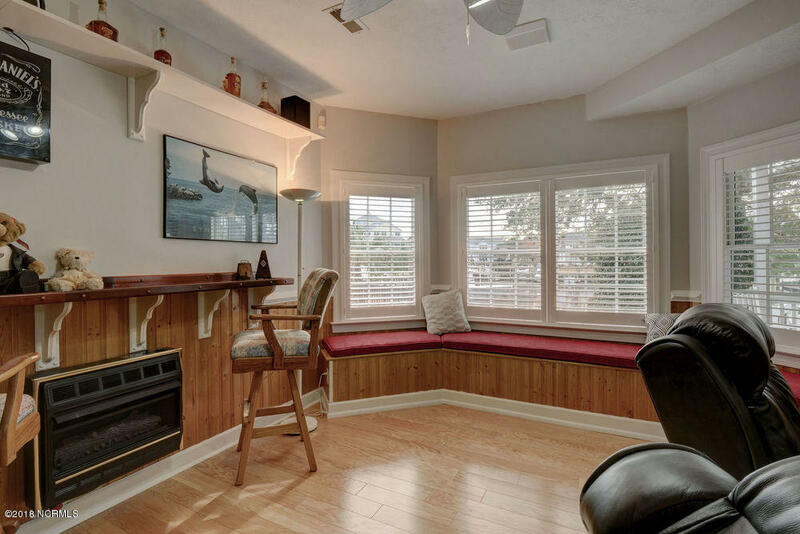 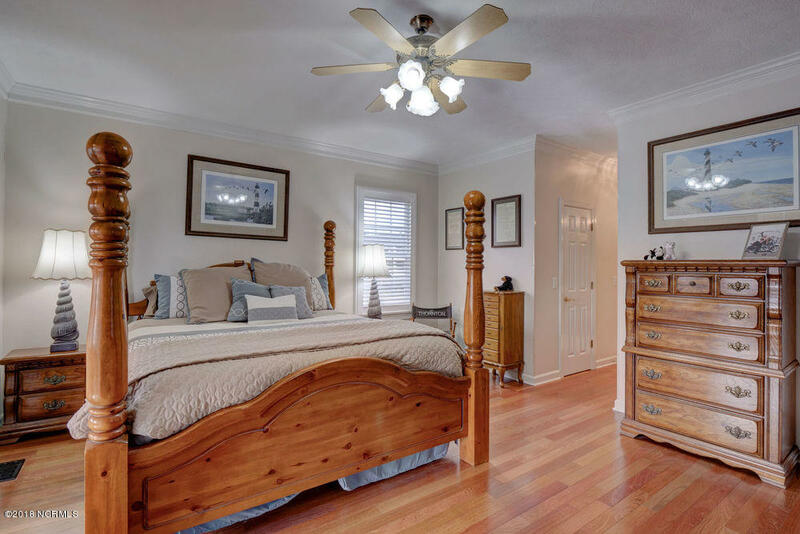 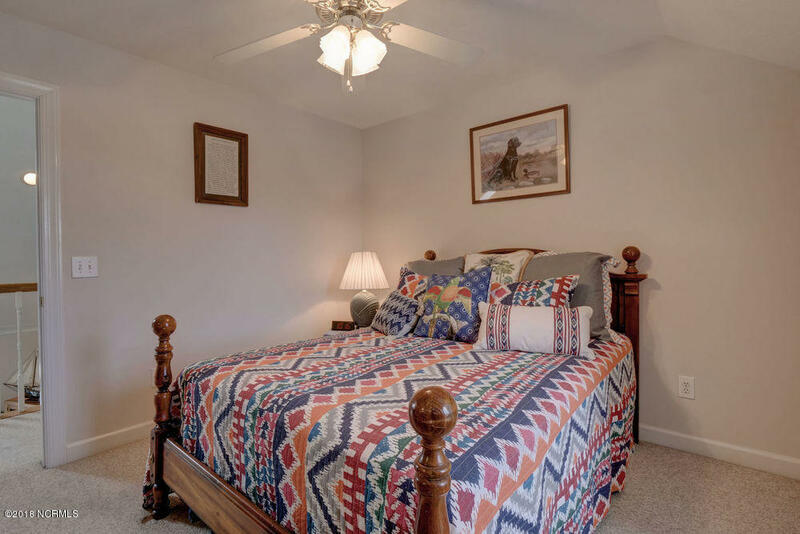 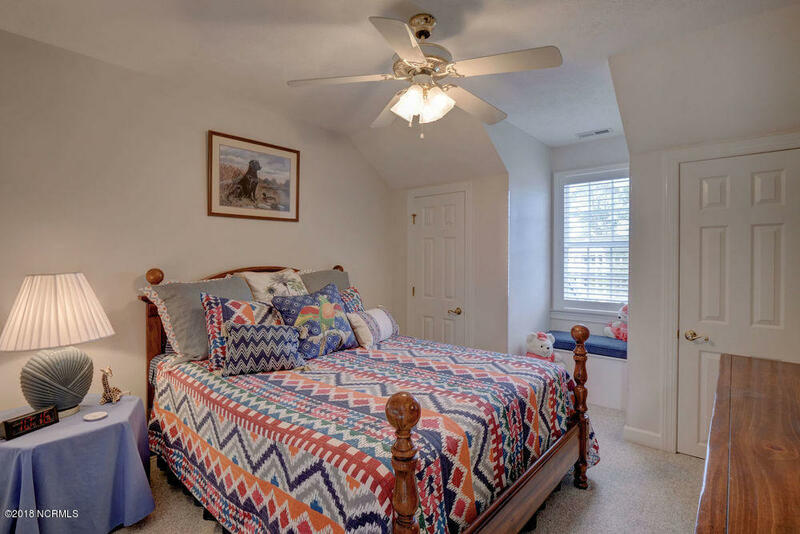 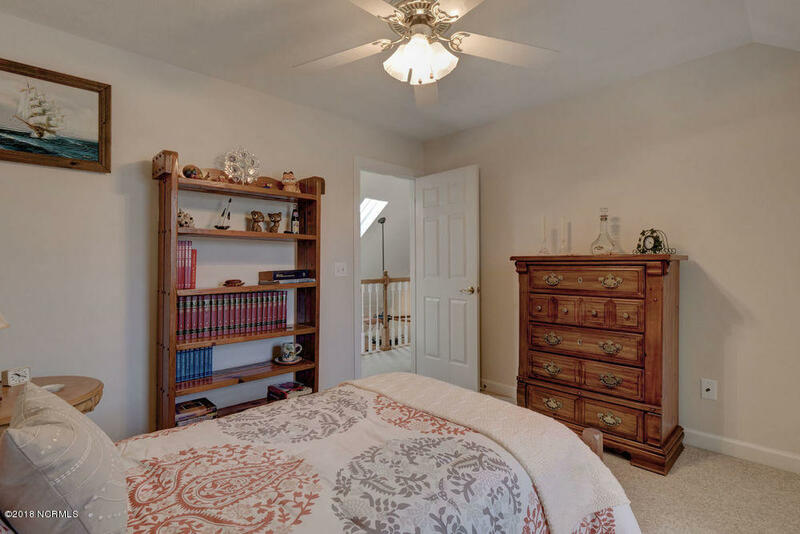 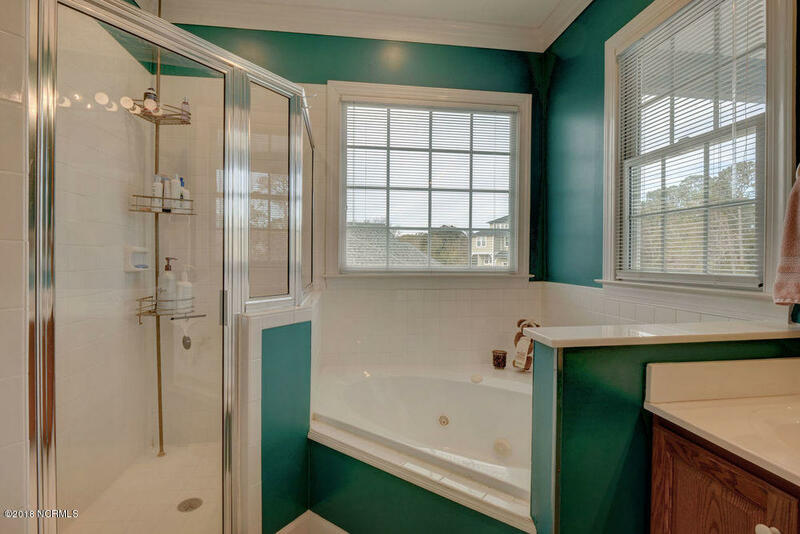 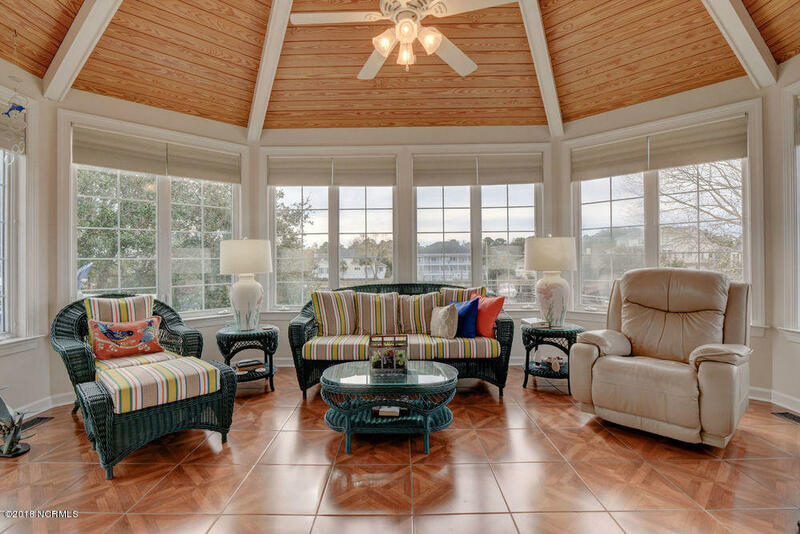 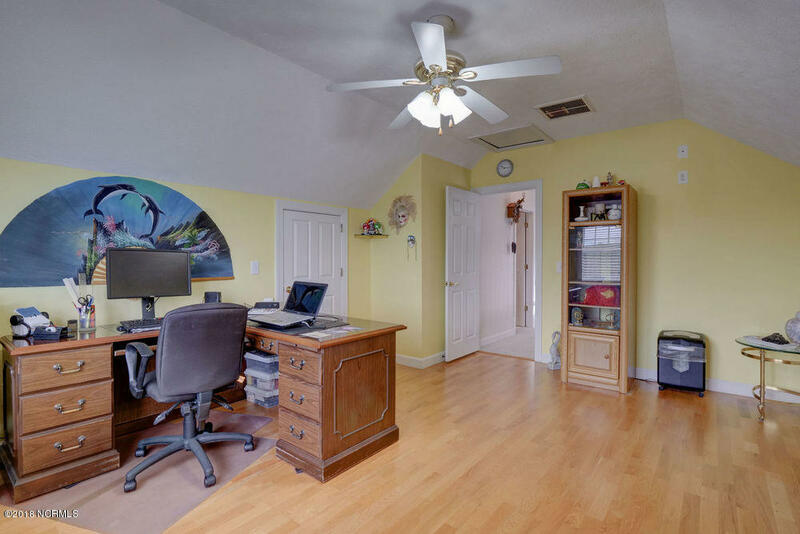 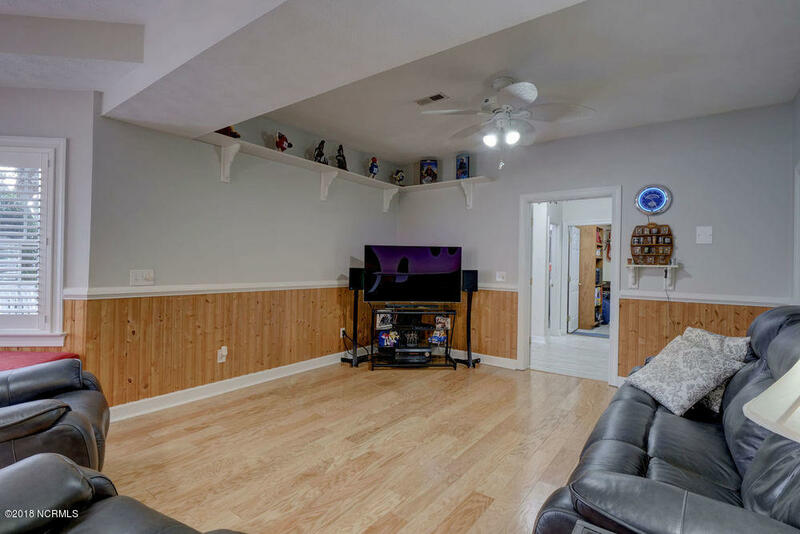 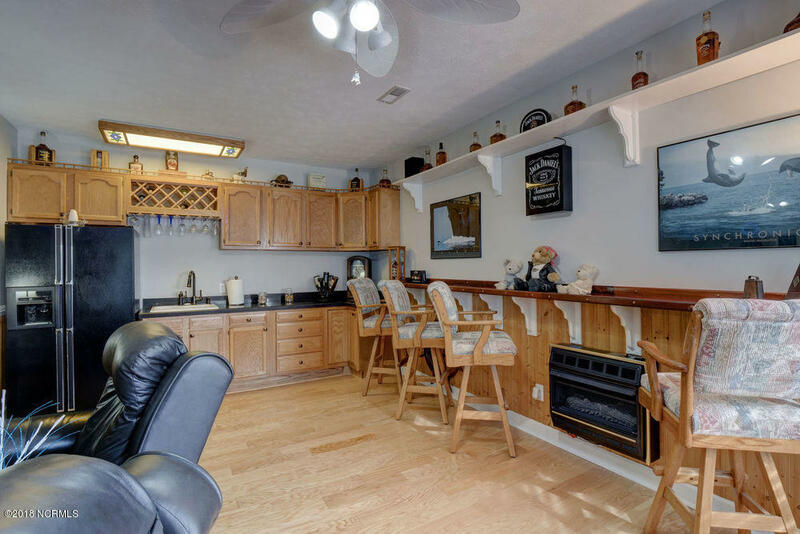 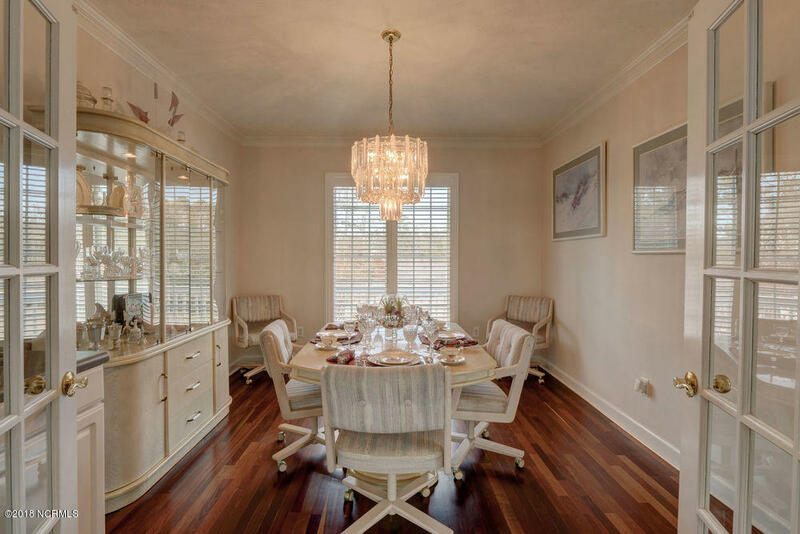 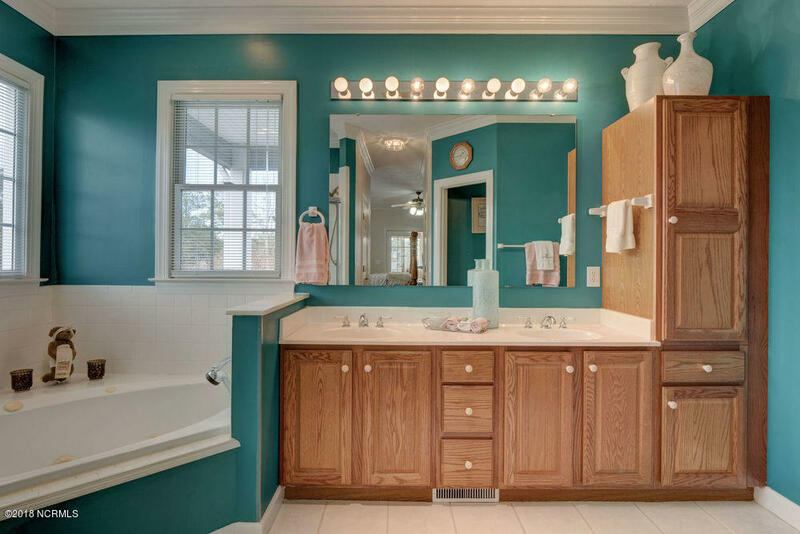 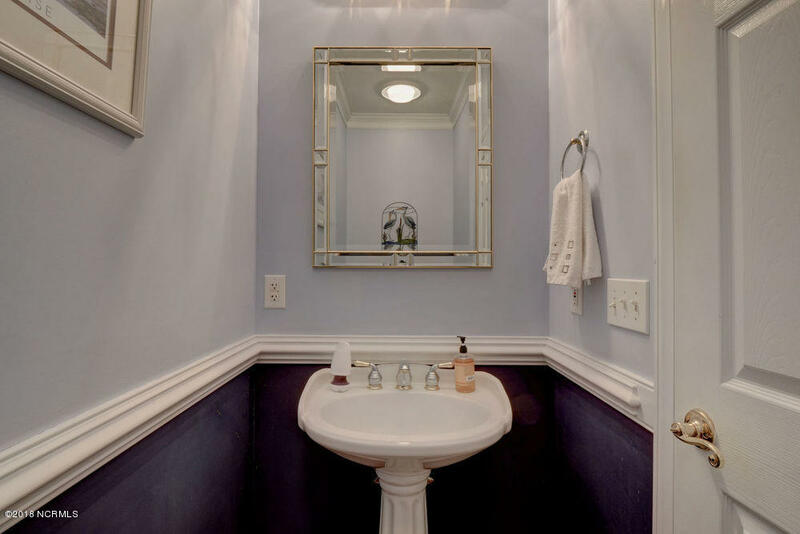 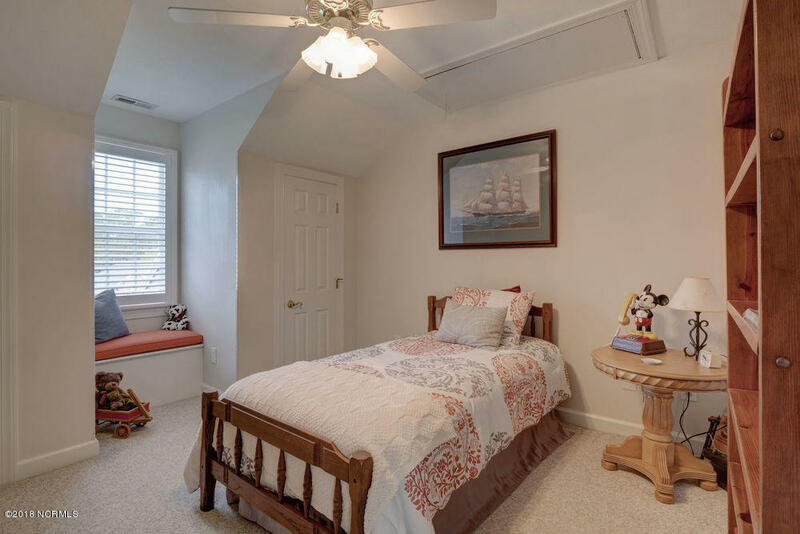 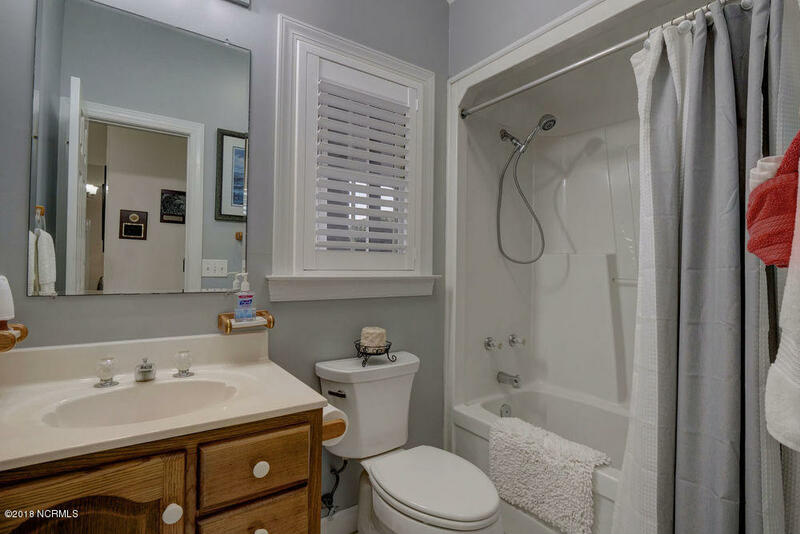 The Owner's Suite is also on the 2nd level & features his & her closets, personal bathroom & French doors to the sunroom, which can also be accessible from the upper deck.